Your customers will surely love the stylish viewer and the intuitive navigation. When browsing several pages at once, the awesome multi-page flip effect adds up to the engaging lifelike experience. The navigation menu is minimized so that your publication can make full use of the available space. Next to that, your online publication is responsively scaled to the user's screen size. The thumbnail bar gives a convenient visual overview of all pages in the online publication. 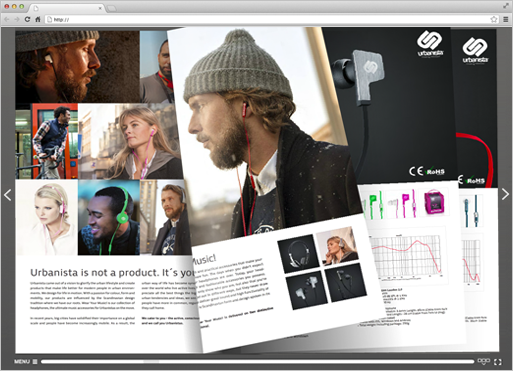 The stylish menu offers various options like a full screen, share, search, index and print feature. You can easily select the desired language for the multilingual menu so that you can reach your customers all over the world. 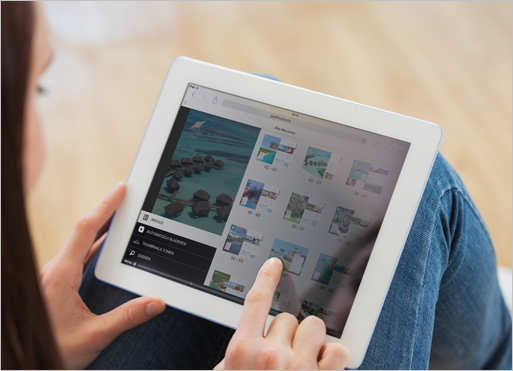 Your online magazines, catalogs and flipbooks can be viewed on tablets, smartphones and desktops. No need to create an expensive native app for each app store and for your visitors to download these apps. Your online publications open instantly in the mobile browser optimized for iOS and Android. With multi-touch navigation on tablets and smartphones. Your readers can swipe to browse through pages, spread and pinch to zoom in or out, and drag to navigate around a page while zoomed in. All website and page links are fully operational on tablets and smartphones as well. Online publishing couldn't be easier!